For over a decade the Irish Payroll Association (IPASS) has been the leading provider of nationwide training and education on Payroll, VAT and a wide range of taxes. Established in 2000 it provides the only nationally recognised professional qualifications in Payroll and VAT which are accredited by QQI, Higher Education Award, Level 6, Special Purpose. IPASS is the only national representative body for payroll professionals in Ireland and works tirelessly to promote excellence within the payroll profession. 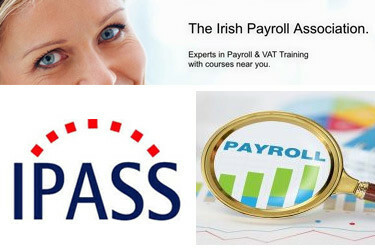 Trusted and respected by many of Ireland’s top businesses, IPASS sets the standard in Payroll and VAT training. Our lecturers are distinguished by their functional and technical expertise combined with their hands-on experience, thereby ensuring that our clients receive the most effective and professional service. Our membership includes many of Ireland’s top companies and we pride ourselves on our proven track record of providing excellence in training and support for our clients and members.